Kanawha Valley Arena Resort is the ideal Blue Ridge Mountain Wedding Destination located near the Blue Ridge Parkway in South West Virginia. We can provide all of the amenities needed to host all of your Wedding Events. Our high quality lodging options can accommodate over 50 guests and we have several Venue choices for the Rehearsal Dinner, the Wedding Ceremony and the Wedding Reception. We can also coordinate all of the other services you need with our many preferred service providers. We offer this in one convenient location which makes your Wedding Planning easier and affordable. We have three Wedding Packages that are designed to fit your individual needs and schedule. We also have an Ala Carte Menu of Wedding Services to further customize your special day. This Wedding Package is ideal for those wanting all of the traditional Wedding Events including the Rehearsal Dinner, the Wedding Ceremony and the Wedding Reception. The cost for this Wedding Package includes use of our private 130 acre farm with lodging at the huge Still House Manor and Stables Cottage and use of our large modern Barn Event Venue for the entire weekend. Then for additional fees, you can choose any other service needed from our Ala Carte Menu of Wedding Services. This Wedding Package is ideal for those wanting a one day event with a Wedding Ceremony and Wedding Reception. The cost of this Wedding Package includes use of our private 130 acre farm with lodging at the huge Still House Manor and Stables Cottage and use of our large modern Barn Event Venue for the entire day. Then for additional fees, you can choose any other service needed from our Ala Carte Menu of Wedding Services. This Wedding Package is ideal for those wanting a small Wedding Ceremony and Wedding Reception during the week between Monday and Thursday. The cost of this Wedding Package includes use of our private 130 acre farm with overnight lodging at the huge Still House Manor and Stables Cottage and use of our large modern Barn Event Venue for a half day event. Then for additional fees, you can choose any other service needed from our Ala Carte Menu of Wedding Services. We will work with you to plan your special day. No matter the size of your event, you will be proud to host your family and friends at our Resort to create some great memories. 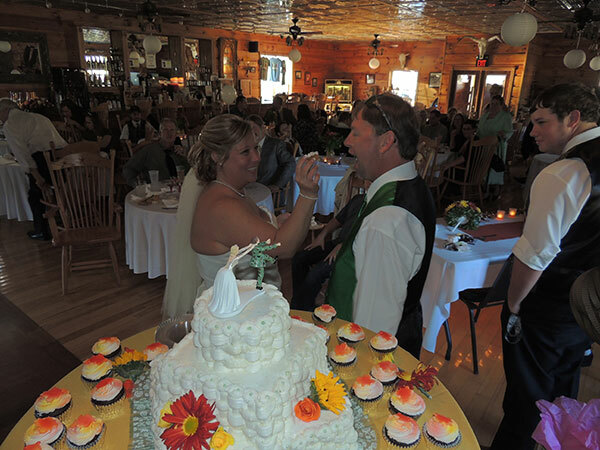 Click here to get additional information and to fill out our WEDDING PACKAGE REQUEST FORM.